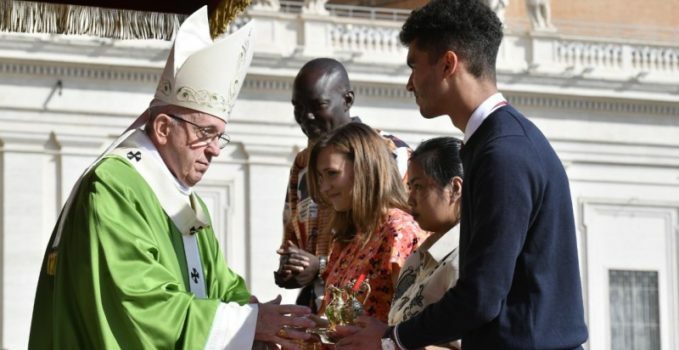 “Hope challenges us,” says Pope Francis, a few days after his powerful appeal to pray for the church, it “moves us and shatters that conformism which says, “it’s always been done like this” and asks them “to get up and look directly into the eyes of young people and see their situations.” This same hope asks us to make efforts to reverse situations of uncertainty, exclusion and violence, to which our young people are exposed. 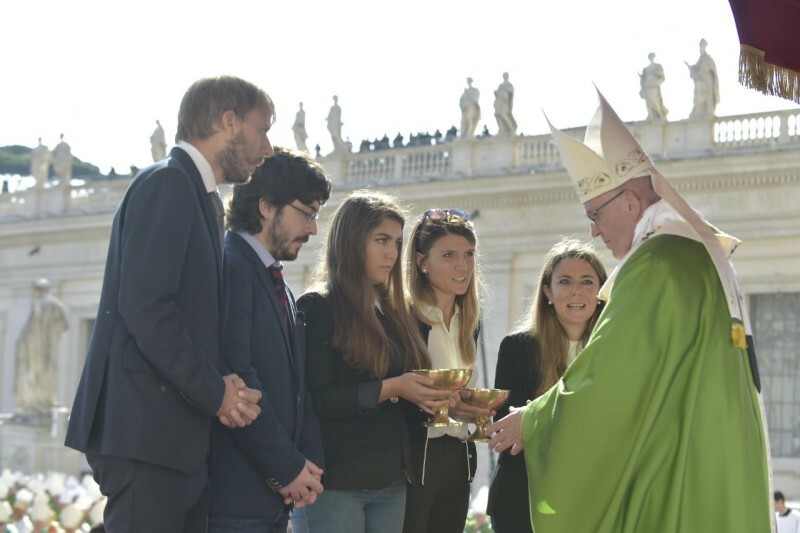 After months of preparations, the 15th Ordinary General Assembly of the Synod of Bishops focused on young people, faith and vocation discernment began in Rome this Wednesday 3 October with a mass in St. Peter’s Square, celebrated by Pope Francis. Youth. 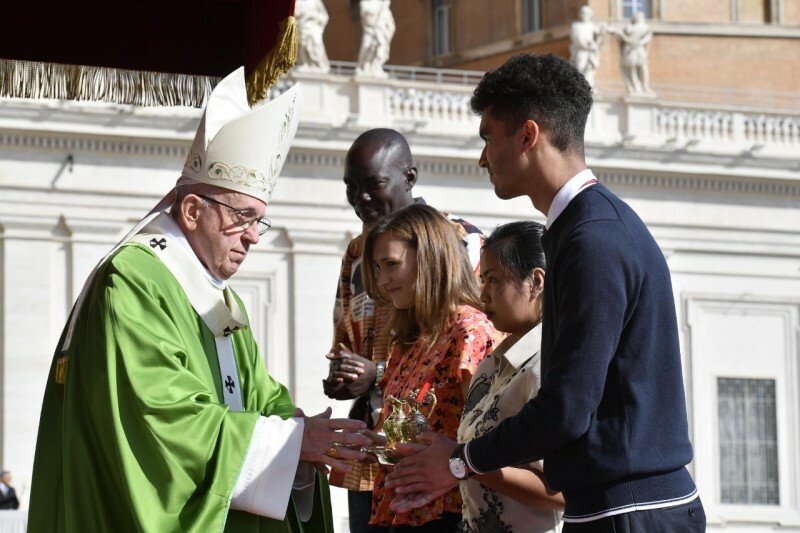 Young people, their faith, their vocational discernment. Young people, like David, 25, from Germany, who has just started his professional career that allows him to buy what he likes. Young people like Daniela, 22, from Switzerland, who is happy with her boyfriend and her decision to continue studying towards her PhD and to leave everything to follow her boyfriend to histo follow for the PhD student or leave all to follow her boyfriend to her new place of work. new place of work. 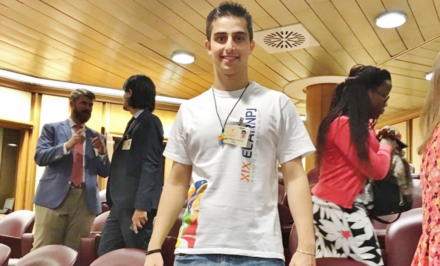 Young people like Rodrigo, 16, from Paraguay, who has been living at Casa Madre de Tuparenda for six months and hopes to leave behind a life of drugs and one day have a family and children who go to school. 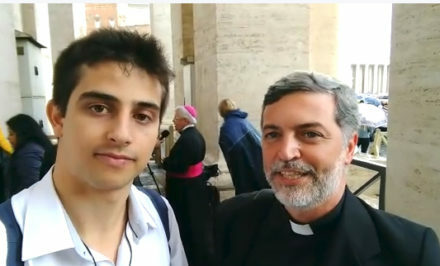 Young people like Ricardo, 16, who have such longing for the shrine and want to do something big for Schoenstatt. Young people like Fuada, 19, from Syria, who lost his entire family in the war. Young people with faith, young people in search of their mission in life. It is about them that the heart of the Church is focusing on during October. In a packed St. Peter’s Square in front of the Vatican Basilica, on a day that was especially bright, Pope Francis celebrated the opening Mass of the Synod, a great solemn Mass, most of which was in Latin. 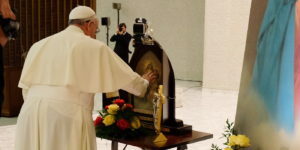 In his homily, the Holy Father encouraged the Synod Fathers in their work which would begin that same afternoon, and assured them that “the Church looks to you with confidence and love”. We accompany the Synod and the youth of the world with our prayers and our contributions to the capital of grace. Two Schoenstatters are present: Fr. 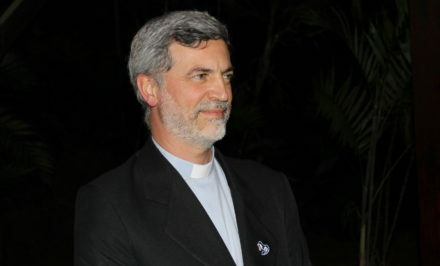 Alexandre Awi (as Secretary of the Dicastery for the Laity, Family, and Life) and Lucas Barboza Galhardo, as the representative of the Schoenstatt Movement and member of the National Youth Ministry Committee of the Brazilian Bishops’ Conference. “The Counsellor, the Holy Spirit, whom the Father will send in my name, he will teach you all things, and bring to remembrance all that I have said to you” (Jn14,26). At the start of this moment of grace for the whole Church, and following God’s word, we ask the Paraclete to help us preserve the memory of the Lord and rekindle in us his words that have made our hearts burn (cf. Lk24:32). A Gospel ardour and passion which lead to an ardour and passion for Jesus. A memory that can rekindle and renew in us the capacity to dream and to hope. For we know that our young people will be capable of prophesy and vision to the extent that we, who are already adult or elderly, can dream and thus be infectious in sharing those dreams and hopes that we carry in our hearts (cf. Joel 2:28). May the Spirit grant us the grace to be synodal Fathers anointed with the gift of dreaming and of hoping. We will then, in turn, be able to anoint our young people with the gift of prophecy and vision. May the Spirit give us the grace to be a memory that is diligent, living and effective, that does not allow itself from one generation to the next to be extinguished or crushed by the prophets of doom and misfortune, by our own shortcomings, mistakes and sins. Rather may it be a memory capable of enkindling our hearts and of discerning the ways of the Spirit. With this attitude of docile listening to the voice of the Spirit, we have gathered from all parts of the world. Today, for the first time, we have also with us two bishops from mainland China. We offer them our warm welcome: the communion of the entire Episcopate with the Successor of Peter is yet more visible thanks to their presence. Anointed by hope, let us begin a new ecclesial meeting. One that can broaden our horizons, expand our hearts and transform those frames of mind that today paralyze, separate and alienate us from young people, leaving them exposed to stormy seas, orphans without a faith community that should sustain them, orphans devoid of a sense of direction and meaning in life (cf. Apostolic Exhortation. Evangelii gaudium, 49). This capacity to dream together that our Lord offers the Church today as a gift, requires, as Saint Paul expresses in the first reading, that we cultivate one specific attitude: “Let each of you look not only to his own interests, but also to the interests of others” (Phil2,4). And it requires that we aim even higher, humbly considering others to be better than ourselves (cf. v. 3). In this spirit we will try to listen to one another, in order to discern together what the Lord is asking of his Church. And this demands that we be really careful against succumbing to a self-preservation and self-centredness which gives importance to what is secondary yet makes secondary what is important. Love for the Gospel and for the people who have been entrusted to us, challenges us to broaden our horizons and not lose sight of the mission to which we are called. In this way we shall aim for an even greater good that will benefit all of us. Without this disposition, all of our efforts will be in vain. This disposition protects us from the temptation of falling into moralistic or elitist postures, and it protects us from the lure of abstract ideologies that never touch the realities of our people (cf. J. M. Bergoglio, Meditations for Religious, 45-46). Dear brothers and sisters, let us entrust this time to the maternal protection of Our Lady. May she, the woman who listens and cherishes memories, accompany us in recognizing the signs of the Spirit, so that with a sense of urgency (cf. Lk 1,39), with our dreams and hopes, we may accompany and encourage our young people to always continue prophesying. Many of us were young or taking our first steps in the religious life while the 0Second Vatican Council was drawing to a close. The final message of the Council Fathers was addressed to the youth of that time. That message which we ourselves heard in our youth will do us much good if we revisit it in our hearts with the help of the poet’s words: “May the man hold fast to what the child has promised” (Friedrich Hölderlin, Poems). It is in the name of this God and of His Son, Jesus, that we exhort you to open your hearts to the dimensions of the world, to heed the appeal of your brothers, to place your youthful energies at their service. Fight against all egoism. Refuse to give free course to the instincts of violence and hatred which beget wars and all their train of miseries. Be generous, pure, respectful and sincere. And build in enthusiasm a better world than your elders had” (Paul VI, Closing of the Second Vatican Ecumenical Council, Address to Young Men and Women of the World, 8 December 1965).